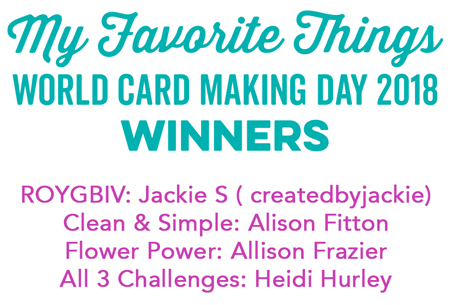 Before we get to today's Spotted post, we need to announce the randomly selected winners from World Card Making Day! We had an absolutely awesome day on Saturday…how about you? Hopefully, you all found lots of time to get crafty! Congratulations to all the winners and thank you to everyone for playing along! 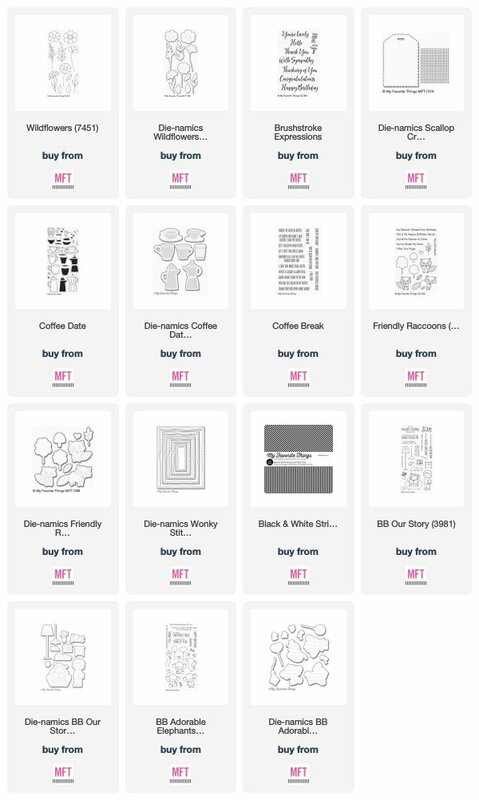 Winners, please email stephanie@mftstamps.com to claim your gift voucher. 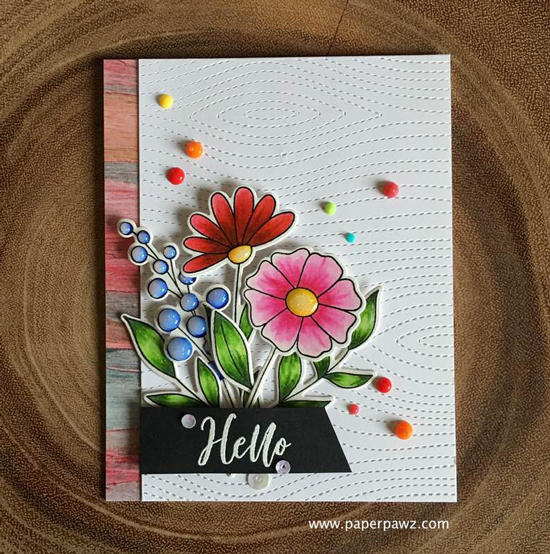 Kim created a gorgeous floral arrangement on her card front featuring the Wildflowers stamp set. We love the bright colors she used to bring her flowers to life, and the addition of the black sentiment strip adds great contrast to her design. We love seeing what you create with our collection of Cross-Stitch Die-namics, so this project by Marika immediately caught our eye. We love how she incorporated the tag onto her card design and stitched a pattern that coordinates with her stamped image and sentiment perfectly. 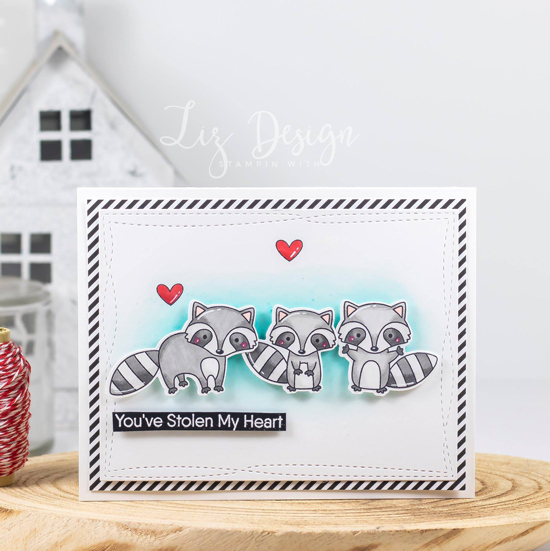 How sweet is this trio of adorable raccoons by Linda? The soft blue inking behind her main images in addition to the foam adhesive behind them, really make the cute critters the focus of the card. The black and white patterned paper is a great accent behind her stitched panel, and we love the pop of red she added in her stamped hearts. 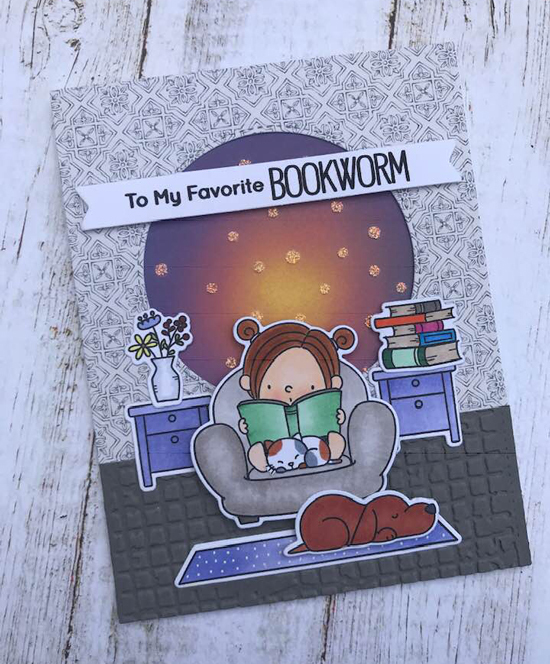 Debra created a cozy nighttime scene featuring the Our Story stamp set. We love all of the added details she included from the textured floor to the starry night sky behind her. The sweet kitty nestled on the chair is the perfect complement to this adorable design. 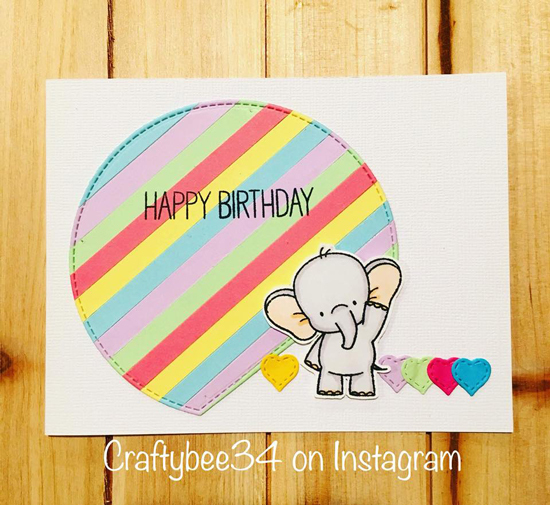 Beata used a fun and colorful rainbow color palette on her card by combining strips of multiple card stock colors side by side on her circle element. We love the flat edge she created on one side with her main image added over top.